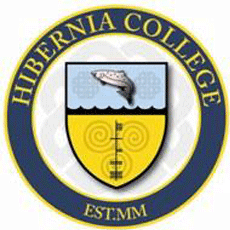 Hibernia College is the most accessible primary and post primary teacher training college and the leading provider of initial teacher training courses and education in Ireland. Founded by Sean Rowland PhD at the turn of the new millennium, Hibernia College follows an ambitious and forward-thinking strategy in order to play a leading role in education and teacher training for the future. Dr. Rowland brought together his colleagues from the corporate, education and technology communities to create Hibernia College, Ireland’s first and only, accredited online third-level institution for primary and post primary teacher training. Hibernia College has developed a model of online education that is successful because it is dedicated to helping professionals meet their current work challenges and by continually building on the interactions of students and faculty. At Hibernia College, we educate professionals around the world who want access to the very best online education and teacher training courses available. The college offers a Higher Diploma in Arts in Primary Education accredited by the Department of Education and Skills. The course blends online and face-to-face tuition, and is aimed at those who want to continue working while studying for their teaching qualification. The course is also suited to individuals who do not have time to spend commuting to and from lectures daily. Since its first intake of students in 2003, the programme has grown to the point where it now provides more primary school teachers each year than any other teacher training course in Ireland. The programme results in a HETAC Level 8 award and is professionally accredited by the Teaching Council of Ireland. The college also runs a Professional Diploma in Education (previously the H.Dip. in Arts in Post Primary Education*) which was established to encourage a broader range of people to consider teaching as a profession by providing a more flexible route to becoming a fully qualified post primary school teacher. In addition, the college delivers continuous professional development courses for teachers, a masters qualification in teaching and learning and online PhD’s in education. Hibernia College offers a range of degree programmes and courses validated and awarded by Quality and Qualifications Ireland (QQI). Our professional teaching qualifications are accredited by The Teaching Council of Ireland. In addition, Hibernia College works closely with industry and academic leaders in the health sciences. Health Sciences qualifications include the Master of Science in Regulatory Sciences and the Master of Science in Pharmaceutical Medicine (HETAC). Hibernia College also offers a suite of online continuing professional development courses for the pharmaceutical and biotechnology industries. Hibernia runs a number of other online programmes in association with international institutions including undergraduate programmes in Computing, Business and Management. Hibernia College is also a research node of Plymouth University, approved to offer PhD research supervision to appropriately qualified students, leading to a Plymouth University PhD. Quality is core to the work and online teacher training courses of Hibernia College both in terms of quality assurance and quality enhancement and, as such, the commitment to quality is embedded in the work of all staff and influences the work of all departments. The College has developed detailed and rigorous policies and procedures to assure the quality of its courses and other services. Collectively these are referred to as the Quality Assurance Manual (QA Manual). For more information about primary and post primary teacher training courses at Hibernia College, view our courses in Nightcourses.com’s Course Finder below.